When she was chosen to spend the summer of 1922 studying with the Denishawn Dance Company in New York City, fifteen-year-old Louise Brooks--several years away from becoming a silent-film superstar--intended to make it one-way trip out of Wichita, Kansas. But a fifteen-year-old girl doesn’t make a trip like that alone--especially not in 1922--and if her parents can’t accompany her, someone has to, and Cora Carlisle offers herself as Louise’s chaperone. She doesn’t know the Brooks family well, but with her twin sons about to leave for college, her nest is emptying--and she has her own reasons for wanting to spend a few weeks in New York City. 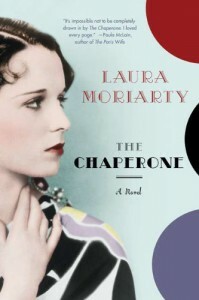 Laura Moriarty’s The Chaperone mixes the fictional Cora and her version of the real-life Louise with two elements that are hard for me to resist in fiction: not-so-old New York, and the social and cultural evolution that defines the 20th century. The period from the late 1800s through the 1970s was one of rapid and unprecedented change that gave rise to the modern world we know today, and I’m drawn to novels that explore those changes and their effects on those living in the midst of them. Although Moriarty’s novel is centered on that summer of 1922, it traces Cora’s story leading up to it and follows her through the decades after it. Another element that tends to pique my interest in fiction--at least partly because I relate to it from personal experience--is the female protagonist whose life changes unexpectedly somewhere around midlife. Depending on the specifics, these stories don’t always work for me, but the premise will usually get my attention, at least. Moriarty did more than get my attention with The Chaperone, though; with Cora, she engaged it fully. Moriarty sets up her protagonists in contrast to one another: Louise is the adventurous, willful girl of the new century, eager for experience, while Cora has nothing left in life but getting older (and I should note that she is 36 during the summer of 1922). 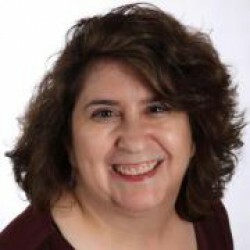 She is introduced as a conventional Midwestern matron and mother, but it’s not long before we start to see that first impressions can be misleading. There was so much more to her than I expected, both in her backstory and her “forward-story” from that summer on, and I really liked the way she was developed. She surprised me, and I think she surprised herself at times, too. The Chaperone moves quickly over its long chronology, and I was thoroughly pulled into Moriarty’s story. Her Louise Brooks embodies the emergence of the 20th-century girl, but her Cora Carlisle is an unexpectedly modern woman, and I’m glad I had the chance to get to know her.